We are excited to officially announce Jake and Sarah (soon to be) Waid who will be coming on staff with FtNRO in April 2014. 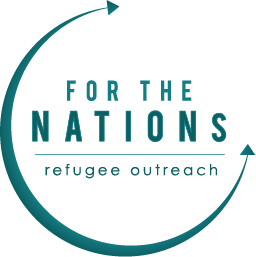 We are very excited for the skills they will bring to For the Nations, and for the ways they will be able to help the refugee community in the greater Dallas area. We are pleased to welcome them aboard especially as we have about 50 new families from Iraq that we have begun to serve in the last few months. Praise God for the opportunity to serve refugees, and for providing us with the staff to do so!